The realisation of two dairy farmers vision to produce high quality milk and dairy products from local dairy farms and create and manage a local distribution and marketing chain. The inspiration came from two milk producers who wanted to control the whole production chain. The idea was to produce high quality dairy products reducing the negative impact on the environment, but also to improve their income. “The primary reason was not to get rich, but to produce a product to be proud of”. 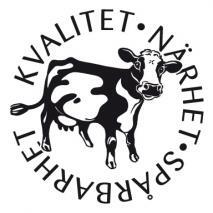 To establish a local dairy plant offering farmers a local alternative to the large national and international dairy producers and the possibility to receive a higher price for their milk and an increase the added value of their production. The main objective of the two farmers who implemented the project was to offer high quality dairy products produced by local farms and available to the local market within a maximum radius of 120 km. The main project activities were: 1) Establishment of a dairy processing plant on the site of an old charcuterie. Leading to: 2) Production and distribution of high quality milk and dairy products (using only natural ingredients) from local dairy farms for the local market in a sustainable way (reducing transportation costs). The project is an example of how farmers can take control of the whole production chain, enabling them to receive a higher price for their milk and produce dairy high quality products with a minimum negative impact on the environment. 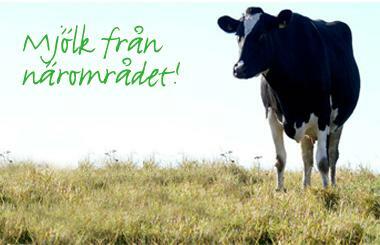 The plant processes milk from five different local farms and from 2 nearby farms on contract from another local brand. Private investors have to be committed and driven by passion since there is a long way to go with a lot of work and obstacles to overcome. Financing and handling of licences and permission connected to the food industry are some of the most common obstacles. It is often necessary to get help from professional consultants to overcome those obstacles. Kalmar County, mainly in Hultsfred municipality.